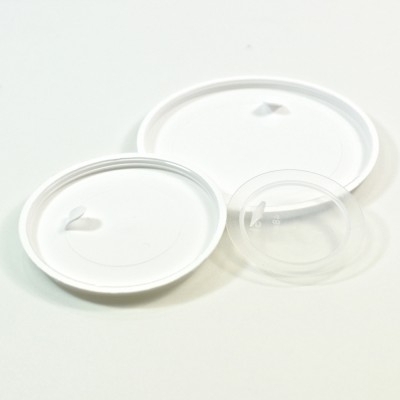 LDPE sealing discs are produced with a pull tab in white or natural material. Minimum order quantity is 25,000 of each size. Product compatibility testing is recommended.